We hope you're enjoying your time off. 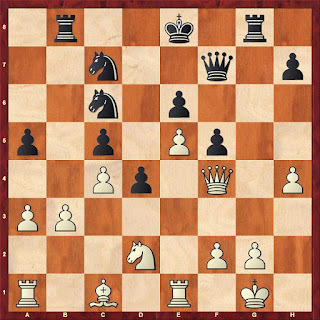 Don't forget to pratice chess! The club resumes Wed, January 6 & going to a tournament at Good Rich Elementary on January 9. Details for the tournament will be coming out next week. Stay safe & warm in the storm that's supposed to be coming today. What a great tournament this was today! Over 90 kids participated - we had great matches, great fun and great food to keep everyone happy. We brought 8 to the K4 division - Nelson K led the way in 8th and Logan O finished 9th. We also had Nate M, Dale E, Michael S, Neil G, Jarret D and Alabhya P. The Mill Valley team of Nelson, Logan and Dale took 3rd place! The K8 ended up being combined w/ K12 and was very strong - we brought 19 players! It was led by Kyle J in 1st with a perfect 5 wins, followed by Will S in 3rd place overall, Reid S in 4th, Alyssa P in 6th, and Jacob G in 9th. 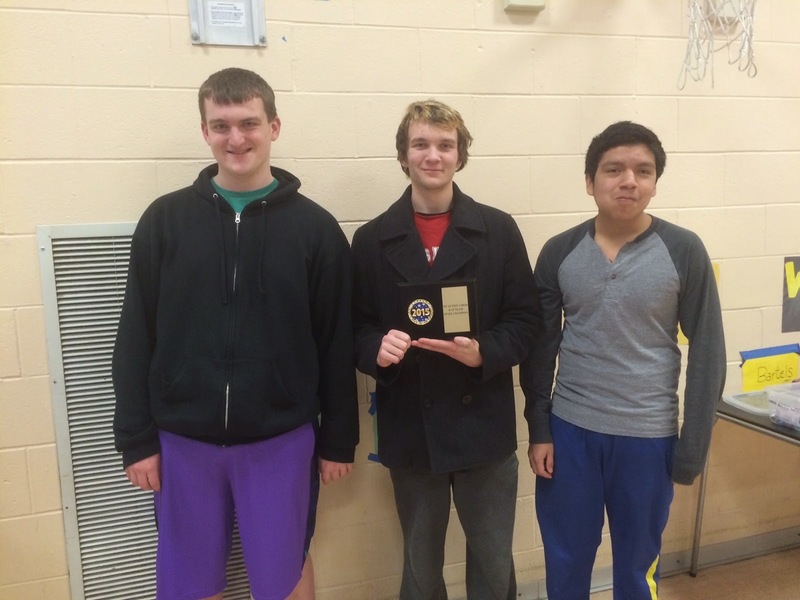 We also had Adam P (7th in K8), Nick S, Tom D (breakout day w/2-1/2! ), Rahul G, Aaron G, Evan S, Colin M, Anoushka P, David B, Colton P, Gavin J, Kenny M, Alex S, and Seth H. The Lake Denoon team of Kyle, Will, Nick, Aaron, Evan, Colin, Colton,Gavin and Kenny took 1st place! The Bay Lane team of Alyssa, Adam, Tom, Anoushka, and David took 3rd place! Thanks to ALL who volunteered for this event - it would not have been a success without you, and you truly showed that Muskego can put on a great tournament! And in the process, you helped to raise over $800 to help keep the club running! Special thanks to Matt & the IAC for running yet another smooth tournament, and for the hospitality of Bay Lane and it's staff. We're already looking forward to next year's event ! Well, aside from a snowy/slushy morning, which delayed the start a little bit, the USM Tournament went very well and the MSCC had a good showing! We brought 16 players and had strong teams in K12 with BayLane and Lake Denoon. Kyle Jain had the only perfect score of 4 wins in K12 (G60 games) and took the first place trophy! Evan Seghers was right behind w/ 3.5 and took 3rd place on tie breakers. Logan O'Leary took 3 out of 5 in K3 (G30 games) to get a 6th place finish! Just a reminder there will be no class on Wed, Nov 25. PRE-REGISTER NOW FOR USM Nov 21! Click here to pre-register for the University School chess tournament on Nov 21! $20 if you pre-register, or $25 at the door! Click here for more details. Don't forget about OUR OWN tournament, the MUSKEGO MELEE at Bay Lane - December 12. Here is the flyer... pre-registration form will be available next week. Nov 4 - Tonight's Pizza Party! Don't forget tonight Pizza party from 6-6:30 pm. We ask for a $5 donation (per person) & start out w/ony 1-2 slices to make sure everyone gets pizza. This is not only open for the chess players but their families as well. See you then! High School Conference starting 12-5!! Our first 3 matches of the 2015-16 season will be held on Saturday, Dec 5 at Arrowhead High School. Yes, this year we are doing 6 of our matches in 2 separate Saturdays! This means we only have a couple other Tuesday matches to go along with this. Sat Feb 20 is the other Saturday. Email Mark at seghers@gmail.com for more details. Emails are going out to high school team - this can include any player USCF rated (looking for rating of 800 or greater) in 7th grade or higher. Varsity will start with our top five players by rating. JV this year will be in a "Swiss" style format in our two Saturdays. To view the answers for last weeks problems, please click HERE. This week's homework problem is not entirely the same theme, but is related. There are times when you are playing that you have to decide between the safe route and something that may feel right, but is also really far outside your own comfort zone. Below is a related position. Need to provide all necessary calculation. Wednesday, November 4 we'll be having a Pizza Party from 6 pm - 6:30 pm. It's $5/per person (unlimited slices). We do ask that you start out with only 1-2 slices at first to make sure everyone gets some pizza, after that it's up for grabs. If you'd like to bring something, please let me know. See the RESOURCES section to the right of this blog (scroll down a little) for the links to the requirements to reach each of the wrist band levels. The problems here are for the Varsity Players (rated 1400+). Printout of the above four problems is located HERE. CHESS IS LIFE - do we need a new tagline? We are coming up with t-shirts and merchandise for the coming year. Maybe we need a new tagline? Here are some suggestions - we'll be putting this to a vote. Other suggestions? Post them here or email them to seghers@gmail.com. Thanks! IMPORTANT NOTICE - there are conferences in the cafeteria THIS WEDNESDAY, 10/14, so there will be no chess. Originally we had been told that conferences were to be held on the 21st, but that must have changed. We apologize for any resulting confusion. Again - NO CHESS on 10/14, and CHESS WILL BE HELD on 10/21 and will resume from there. The calendar is being changed accordingly. Please help us get the word out - not everybody checks the website or email! Watch the website for information, see you on Wed 10/21. Many tournaments will happen throughout the season. Chess tournaments are recommended for kids who have earned their BLUE wrist band or beyond. In my experience, once a kid goes to a tournament, they really understand chess in a new way. Often times this is the turning point where a kid really gets serious about this amazing game. Some tournaments are not rated by the USCF (uschess.org), and some are. There is a USCF rated tournament coming up on Oct 17 - the Hales Corners Challenge. This is sponsored by the Southwest Cless Club, a group which meets Thursdays at the Hales Corners police station. CLICK HERE for details. Our first "official" club tournament will be the USM tournament at University School on November 21st. After that, we're having our own tournament at Bay Lane Middle School on Dec 12th! Watch this site for details. There may also be tournaments added this year, but those are the big ones! I can't believe it's that time of year already, back to school. The summer flew by fast. The Chess Club will resume October 7 at the High School's Cafeteria from 6:30-8 pm. If you're interested, please fill out the form. If you're not sure, feel free to come to a couple classes & then sign up. http://form.jotformpro.com/form/42297731414960 - or just click on the big red button on the upper right hand side of this page! P.S> Please note that if you signed up before 8/31, you may have seen a thank you screen that said the first night of class is Oct 1... that is incorrect. The first night of class is Oct 7. Just a reminder, tonight's the last Open Play Chess Class at the Library. Then the Chess club will start up Oct 7 at the High School. Thank you to whoever helped make last night possible. It was a great turnout & a lot of fun! Just a reminder, we still have open play (free) going on this month at the library on Wednesdays (6:30 pm - 8 pm). Only 3 sessions left! Congratulations to 8th grader Kyle Jain!! Kyle played in a tournament in AZ and did extremely well, raising his rating from 1564-1660. Kyle is the 3rd highest rated player in the Muskego Chess program, behind Evan Seghers (Senior) and Jason Markowski (Senior). When Evan, Jason, Reid, Rachel, Kolt and others retire, we will have a big gap to fill in Fall of 2016 with our new crop of players coming in - it's great to see players like Kyle, Alyssa and others who are playing Summer tournaments and raising their ratings! Would anyone be willing to be a "host family" for a foreign exchange student for the coming school year? If you're interested or would like more info, please contact me (leahmike@ymail.com). Thanks. Thank you to all that showed up tonight to help out or stopped by to say hi. It was so nice to see so many friendly faces. Pictures will be posted on the FB's page this wknd. If you have questions, feel free to contact me. Thanks! Come help spread the word about our wonderful club to the community on Friday, June 5. We'll be located in the Library's Parking lot. If you're interested in helping, please sign up on this link. Also, don't forget to help w/the library "open play" chess. Thanks! Congrats to both Kyle & Alyssa for going to Ice Harbor & winning trophies. We'll be having an "open play" session on Wednesdays at the Library throughout the summer. We need at least one person to volunteer a Wednesday. Please help & volunteer. Here are the results from Elmwood last weekend. Sorry it took so long to get these out here. (If I spell a name wrong, blame my husband's handwriting!) Leah, you may want to post these on the Blog too. In K-3 Unrated, Dale Enders took 3rd with 5 wins, Nate May took 4th with 4.5 wins. In K12-U800 Brian Mark took 4th with 4 wins, Nelson Klein placed 17th (3) and Gavin Joers placed 18th (3). Alex and Michael Swiezynski each won 2 games. In K12-U800 Team rankings Mill Valley (...Nelson and Gavin) took 5th place. Hi MSCC leaders & parents! This is a reminder that we're planning to get together at Alpine Lanes next Wednesday the 29th, 6pm until ?? There is no formal agenda per se, but we would like to discuss what went well this year and where we see need for improvement next year. We'll also discuss some planning for summer (e.g. Jammin' on JVille booth) and start of next school year. As with any club run 100% by volunteers, the more parental involvement we have, the stronger our club will be! southwest chess club tournament starts Thu! 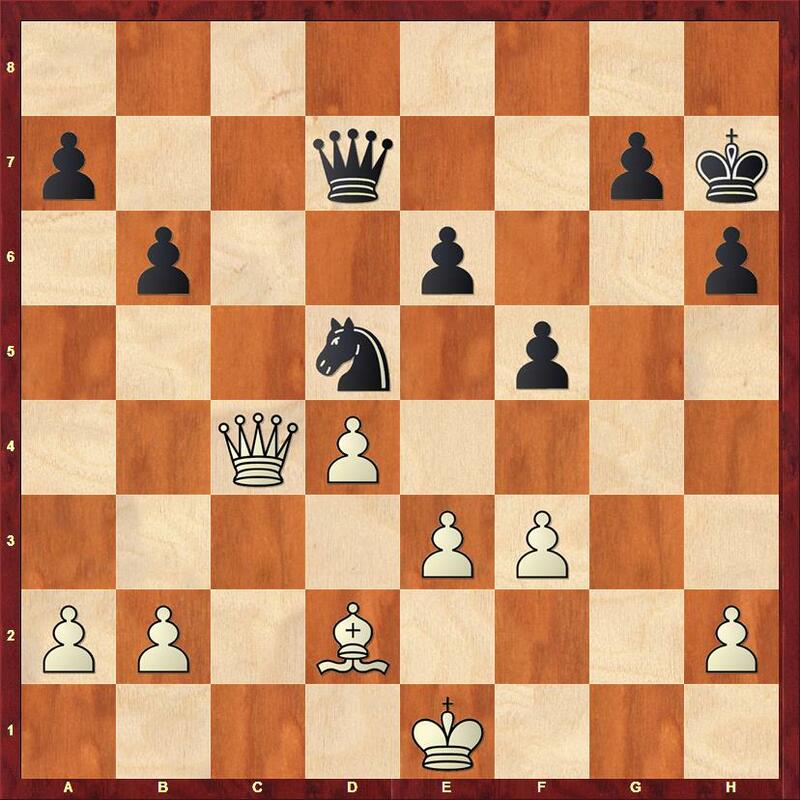 Starting this Thursday the Southwest Chess Club presents for you “Rainy Knights Swiss" (see below for details). We plan to start promptly at 7:00 p.m. Registration is 6:20-6:50 p.m. I plan to close registration at 6:50. If you arrive after first-round pairings are prepared, you will have to take a 1/2-point bye in the first round. The Southwest Chess Club games are held at the Hales Corners police station. if you want to play but anticipate being a few minutes late, please contact me (tfogec@gmail.com) (414-405-4207) prior to 4:30 p.m. this Thursday, so we can include you in the pairings. If you need a first round bye please let me know as soon as possible. 4-Round Swiss in Two Sections (Open and U1600). OK for any round (except round four) if requested at least 2-days prior to round). TD is Tom Fogec; ATD is Robin Grochowski. Here is the link to the results for the state Scholastic - great job kids, and lots of fun had by all! Playing SMART - not "slow"
When we tell kids to PLAY SLOW, we don't mean they should stare at the wall for 10 minutes before making a move. What we really mean is to play SMART. Playing smart takes time, of course. 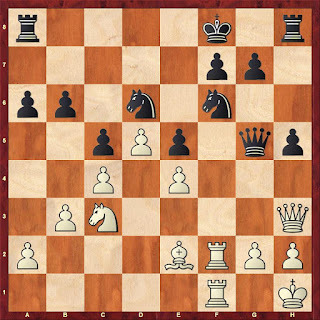 Why did my opponent move there? How does he/she THREATEN ME now? Look at all their pieces including pawns. What pieces of mine are unprotected? How safe is my King? 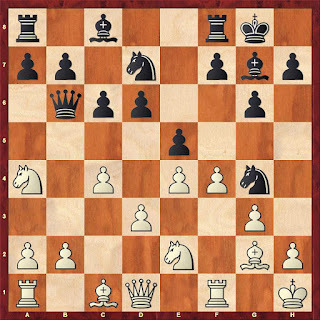 Next, after the player has considered the effects of the opponent's move, they should either respond (i.e. to prevent an attack), or launch an attack (IF and ONLY IF everything is safe). Putting one's self into the mind of the other player, and understanding the motivation behind their move - ALL the motivations behind their move, not just one - is critical, is often overlooked by beginning players, and..... it takes TIME. When we see players "playing too fast" this TELLS US that they are not playing smart. It's not that we want them to "play slower" ... it means we want them to start thinking about ALL the right things. Who are we up against (chapter 2)? Now for the Individuals we are up against in the two divisions we are competing in, this weekend - HERE IS THE LINK which is a bit hard to find. Should be a fun weekend!! I will post updates on this website as the tournament progresses! Next wk Wednesday (March 25) will be our last class. To celebrate the fun yr we had, at 6 pm we'll be having a pizza party (which is open to the chess players & their families). We ask for a donation of $5/person which includes pizza, snacks & beverages. If you'd like to help out & bring anything, please let me know at leahmike@ymail.com. Otherwise I'll be at class tonight, State this wknd & class next wed.
Who are we competing against? Our Muskego High School Varsity team, together with K-8 teams from Lake Denoon and Bay Lane, goes to Oshkosh this weekend for the State Scholastic tournament! Muskego's Varsity 5 - Evan Seghers, Jason Markowski, Fernando Collahuazo, Reid Seghers and Rachel Gomoll - are seeded 4th overall with an average rating of 1603. Congrats to Kyle Jain for placing 1st in 7th grade division - this makes Kyle the 7th Grade State Champion! Congrats also to Nelson for placing 6th for 3rd gr & Mill Valley placed 3rd for 3rd gr (team was Nelson & Jarret). Bay Lane 6th graders had a total of 7 points (Adam being the leader w/3 points, David & Alyssa both winning 2 games). Logan won 2 rounds. Seth worked hard & won a round. Shivum also won 2 games. CLASS resumes 3/18. We will give out our in-class tournament awards on that night! Don't miss it! The final class of the year is then 3/25. Several tournaments coming up - don't forget! Grade level 3/14 - State 3/21 - Elmwood and ASA Clark during April! At the end of the high school conference season, there is a tournament for all the players in the conference. The tournament does not count against tournament standings. Usually we have 5-7 players attend. This time around, due to other conflicts, we just had a few. Evan Seghers, Fernando Collahuazo and Alyssa Przedwiecki. While the conference is only for grades 7-12, the tournament is open to younger kids who might want to check out the conference - thanks for coming Alyssa! She did very well in the tournament, winning 2 and drawing 1 against much older competition. Fernando and Evan each went 4-0 against some of the top players in the conference to take 1st and 2nd. Evan was voted MVP of the conference by the coaches this year, which was a nice honor. Fernando made 2nd team and Jason was honorable mention. Thanks to all players who played this year! Next year, the SMCA will have 3 meets on 3 separate Saturdays, doing away with the pre-season and post-season tournaments AND no more Tuesday matches after school. This was our proposal which was voted in by the coaches. We may or may not be USCF rated- this was also our suggestion, but there is some opposition to this. Well, it was a solid year for MHS chess, in the SMCA conference. Muskego finished 2nd place in Varsity to Brookfield Academy. They played a great match against us at home, and surprised our top 3 board with upsets.... that match proved to be the difference in the conference! For our JV, we scrambled every week to put together 3-5 players. It was just enough to tie for 1st place! This Saturday, all Muskego Scholastic players from grades 6-12 are invited to the postseason tournament at Arrowhead at 8:30pm. If you're coming, please RSVP to Mr. Seghers. NOTE: the big STATE TOURNAMENT is coming up in a couple weeks in Oshkosh - this is the big show... hopefully we can improve upon our 5th place finish the past couple years! Final Round for MSCC Tournament! This week is the final week for K-4 and K-8, and the second to last week for the K-12 tournament! In K-4, board 1, we have Logan O'Leary (4-0) vs. Joel Otterbacher (3.5-.5). The winner of that game wins the division! If there is a draw, Logan wins the division. A few other players have 3 wins and could take 3rd place. In the K-8 division, David Bundy (4-0) plays Anoushka Prasad (3.5-.5)to see who is our champion. The winner takes the division. A few other players also have 2 or more wins. In the K-12 division, there are two games left, so it's still pretty wide open. BUSY DAY AT USM !! Saturday's tournament at USM, the Tournament of Champions, was the culmination of the season's IAC tournaments, run by Mr. Matt. While the attendance was not enormous, the competition was intense and many trophies were not decided until the final game! Nelson Klein (MV) led the way with 2 wins & 2 draws for a 10th place finish. Logan O'Leary (MV) had a 3 win day and Alabhya Prasad (TC) played some good games as well. Nelson & Logan took a 4th place team finish. Alyssa Przedwiecki led the BL team with 3 wins and a 9th place finish. Gavin Joers (MV) also earned 3 wins. Anoushka Prasad (BL) and Evan Stachowiak (MV) were close behind. Alyssa & Anoushka took a 5th place team finish for BL. Kyle Jain (LD) let the team with 3 wins & 1 draw for a 6th place finish, Will Schantz (LD) also finished with 3.5 points and an 8th place finish and Aaron Gibbs (LD) was close behind. Together the LD team took a 1st place team trophy! Congratulation to Nelson Klein for taking 10 place! Congratulations to Alyssa Przedwiecki for taking 4th place and for Gavin Joers taking 8th place! And congratulations to the Bay Lane TEAM for taking the 1st place trophy!! In addition to Alyssa and Anoushka, the team contributors throughout the tournaments were David Bundy, Noah Gover, and Adam Putz. Congratualtions to Kyle Jain for taking the first place trophy (!! ), in a hard fought day that came down to the last game! Also congratulations to Aaron Gibbs for taking 8th place and to Will Schantz for taking 7th place. And last but not least, congratulations to the LDMS TEAM for taking the 1st place trophy!! In addition to Kyle, Aaron and Will, contributors during the year included Brian Mark, Cole Zettel, Nick Schuster and Matthew Redlinger. Whew! Way to go players and way to represent the MSCC !! Great place to play chess & see some nice displays in between! Muskego brought a CLUB team to the event of 8 players. In the Open Division, special congrats to Kyle Jain for going 5-0 and taking first place! The team of Kyle & Alyssa, while only two of them, took the 3rd place team trophy! In the U600 Division, special congrats to Anoushka Prasad for also going 5-0 and taking 2nd place, just missing 1st place on tie breakers ! The team led by Anoushka and also including Evan, Gavin, Nelson and Nate took 3rd place! In the U300 Division, congratulations to Alabhya Prasad for going 4-1 and taking 3rd place (3 way tie for 1st decided on tie breakers)! She also earned her RED wrist band! Nice job to all, way to represent the MSCC ! MSCC Tournament results thru 3 rounds! Starting Wed, Feb 18 & running through March 18 we'll be having a candy fundraiser at the club. Candy will be anywhere from $.50 - $1.00/each. What an exciting day it was! First of all, congrats to Logan & Adam for becoming the newest members w/the red band! Way to go! The Mill Valley team played very well & placed 4th place which was Nelson & Logan. Logan personally placed in 5th & Nelson in 9th. The Bay Lane team also did extremely well, they placed in 1st. Good job Anoushka, Adam, Alyssa, David & Noah. Also, Adam individually placed in 9th, Alyssa in 6th & David in 5th. Congrats to the Lake Denoon Team for placing 2. Also, Kyle individually placed in 3rd. The High School team placed in 3rd. MSCC Apparel Fundraiser is due this Wednesday, February 11. I accept cash, checks or Pay Pal (Family & Friends). If you have any questions or would like me to e-mail you an order form, please contact me. leahmike@ymail.com. The MSCC will again return to JAM on JANESVILLE this year! Email any questions or ideas to LeahMike@ymail.com ! 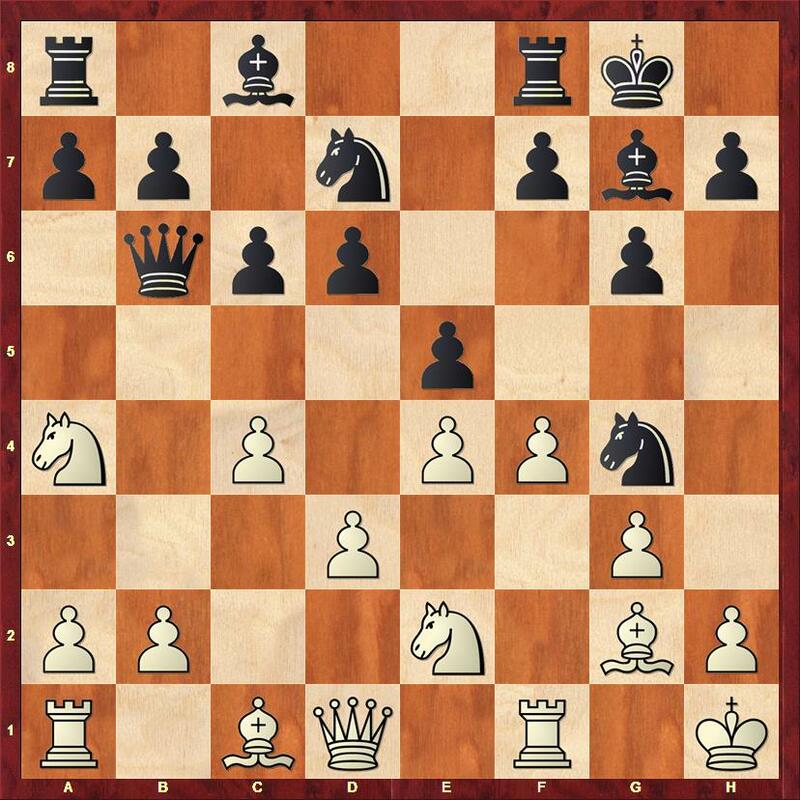 The SouthWest Chess Club (SWCC) is a great USCF affiliate that has USCF rated tournaments every week! It's very close to Muskego, at the Hales Corners Police Station, right up Janesville Rd. This Thursday, the SWCC will be holding a three-round event, all in one night. There are two sections. 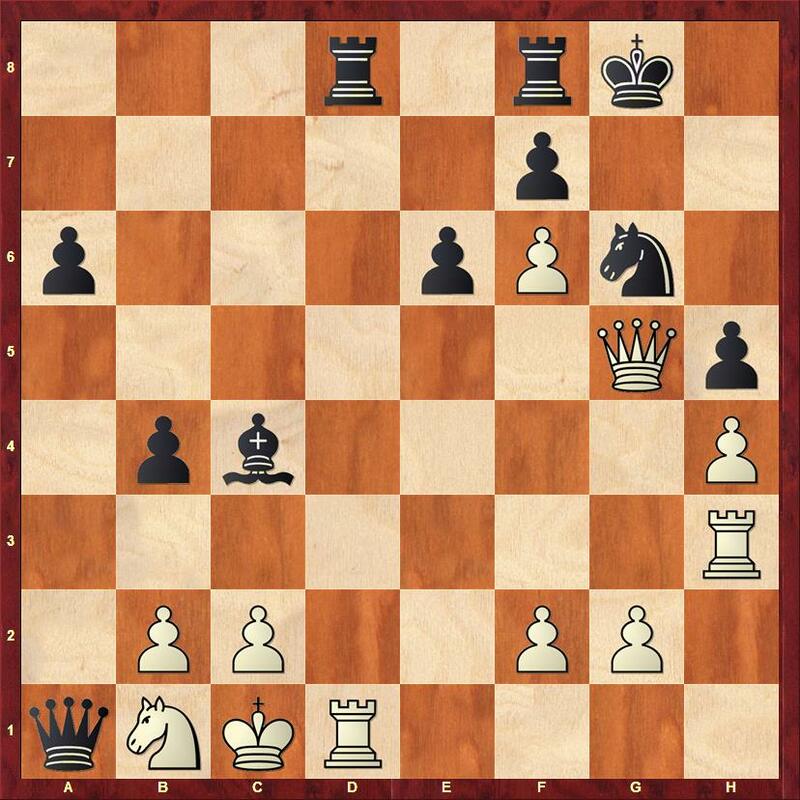 Some very good players are NOT good at short games like this, whereas our kids are bit more "used to" this format from the scholastic tournaments we normally attend. Details are below! Contact Allen with any questions you may have- otherwise see you there. Parents also welcome!! Be advised- you might not get home until 10pm or so. 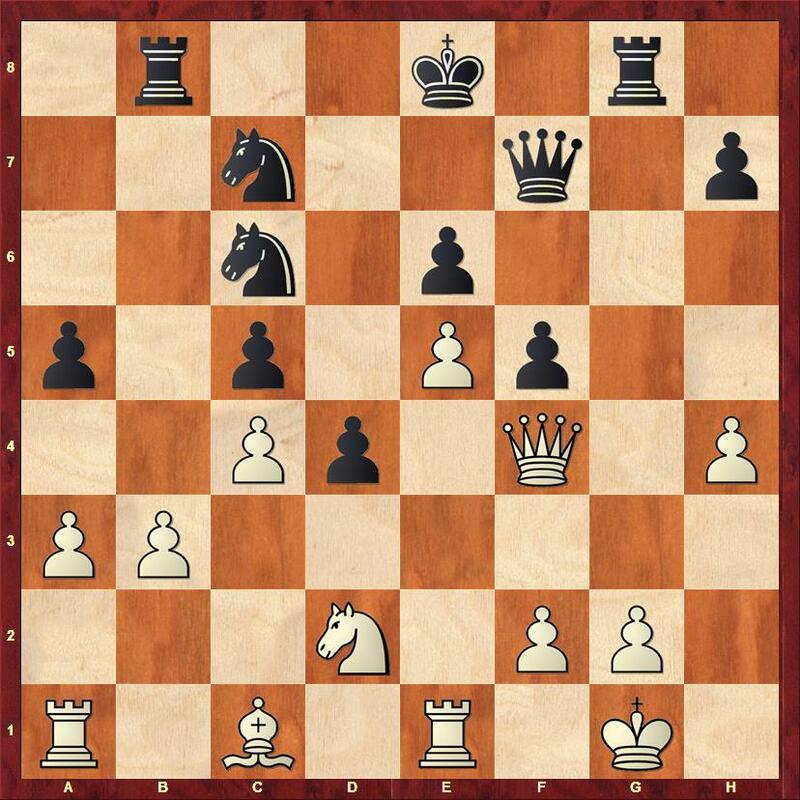 This Thursday come to the club and warm up with some Action chess (3 games, one-night event). There will be 2 sections (described below). Registration closes at 6:55 pm; games start at 7:00 pm. If you wish to register ahead of time, let TD Allen Becker know (allenbecker@wi.rr.com or 414-807-0269). TD is Becker; ATD is Grochowski. (Quad event starts February 12 and runs 3 weeks). IMPORTANT - CHESS CLASS IS UNEXPECTEDLY CANCELLED THIS WEEK due to an unplanned school planning meeting. Both the cafeteria and the study hall room are unavailable. We will continue with class the following week 2/11 as planned- and will continue our Club Tournament with Week 2 at that time. Thank you - please email with any questions! MHS, Markowski are G-30 State Champs! 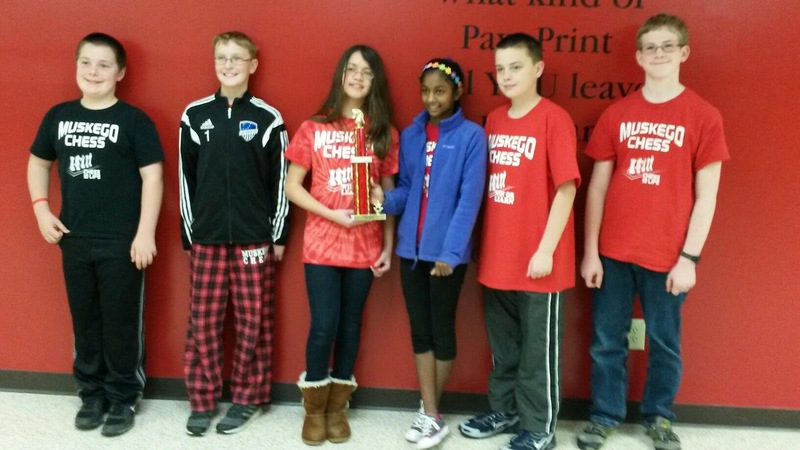 Congratulations to Muskego High School for winning the Action Chess (G-30) state championship this weekend in Madison, and to MHS Junior Jason Markowski for going 4-0 and winning the individual state championship! 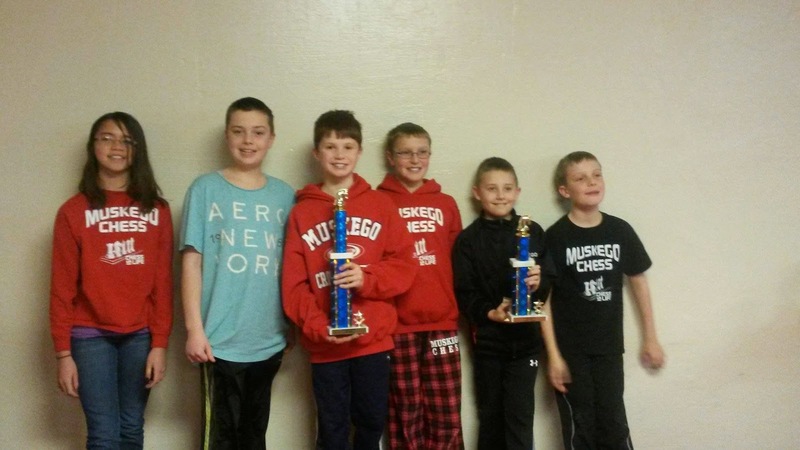 Muskego has been specializing in G-30 tournaments for many years, and flexed their muscles a bit at the new G30 Action Chess championship in Madison this weekend. Markowski paced the group with 4 wins, Evan Seghers had 3.5 to take 2nd overall, and Reid had 3 to take 4th overall. Adding 2 wins to the cause were also Rachel Gomoll and Fernando Collahuazo. Bay Lane Middle School stepped up to the very tough K-12 division and won several games, taking home the 5th place prize. Alyssa and David were 2-2, and Adam and Anoushka each added a win to the cause. Also representing Muskego in the tournament was lone wolf Lake Denooner Kyle Jain, who won 3 out of 4 and raised his rating to 1401. Round 1 results are in - and Round 2 pairings (to be played next week Wednesday) are up! Miss week 1? NO PROBLEM - we can get you into Round 2. Everybody can miss a week- we will adjust pairings based on who is there. Take Notation? AWESOME! Parents- send me smart-phone photos of your kid's notation and I may post a game online (IF YOU BOTH APPROVE). Remember, taking notation is very important - it allows us to replay the game and see what we could have done better, and what we may have missed. Post any questions about tournament as a comment to this blog post - Thank you! Lots of kids already pre-registered for our in-class tournament which is 5 rounds and starts tonight - one game per week - PLEASE PRE-REGISTER by CLICKING HERE. If you need to miss a week, no problem - the registration form will allow you to select a week your child needs to miss. If you have multiple kids, just click on this link once for each kid. Registration is also available at the door but PLEASE click the link above to pre-register. This gives us the information we need, and will tell us if you need to miss a week. The Action Chess tournament is in Madison THIS SATURDAY. This is a the annual four-round G-30 state championship (game in 30- like normal school tournaments we attend)! I am registering everyone, and we all pay at the door. Please email seghers @ gmail.com if you would like to attend! The club fielded 15 players yesterday at the tournament which was pretty well attended with over 100 players. In addition, the LDMS team of Kyle, Aaron, Will, Cole and Brian took the 2nd place team trophy! 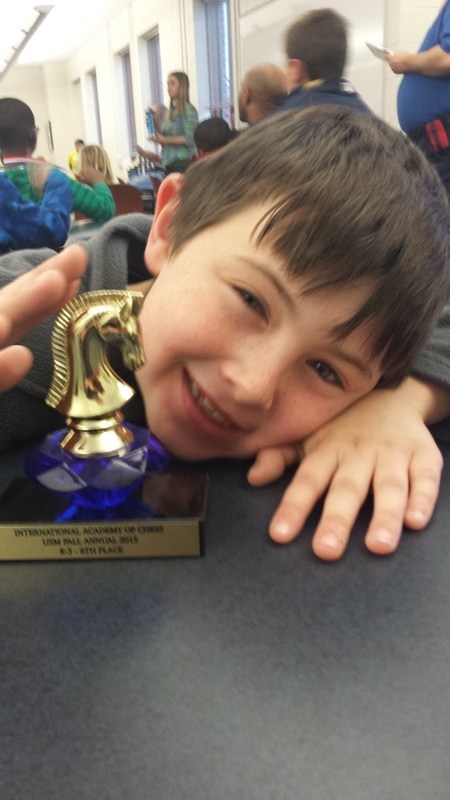 Logan O'Leary (MV) for attending his first K3 USCF tournament. He took 3 points and 12th place! Alabhya Prasad (TC) for attending her first K3 USCF tournament and getting her first win! Nelson Klein (MV) who could have stayed in K3 but stepped up to K6 to make a team with Gavin and Joel! Great team effort. In-Class Tournament Starts Jan 28! Register Now! The MSCC will be holding our own In-Class Chess Tournament, starting on January 28th during class, and continuing for 5 weeks! all players must register for this tournament! 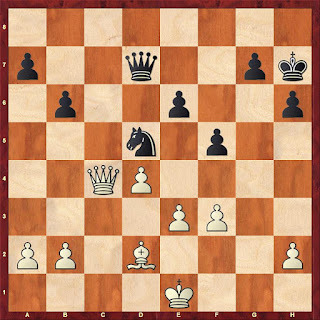 We will be playing ONE GAME PER WEEK following normal chess instruction. Divisions are K-4, K-8 and K-12. Prizes will be given for the winners of the divisions, and the winner of the K-12 division will be named 2015 Club Tournament Champion. The K-12 division will be USCF rated. If you are in grades 9-12 and wish to play in the tournament, you will need to be USCF registered. The IAC (Mr. Matt's organization) will offer USCF signups during class if you need to do this, or you can do this in advance by going to USCHESS.ORG. There are many benefits to USCF memberships, and you can build a rating to work on your whole life! Need to miss a week? No problem - just email seghers@gmail.com and you may request ONE BYE for any week of the tournament except week 5. If you know in advance, you may request this on the registration form (recommended). We had a small group but everyone did quite well! Congrats to the Mill Valley Team for earning 3rd place which consisted of Rachel, Joel, Gavin Josh, Evan & Nelson! Plus Gavin won 4 games, his personal best. The Bay Lane team did quite well in the challenging K12 section. Alyssa won 3 games & Seth won 2 games. Colton represent Lake Deoon & showed his team spirit. Sam proudly represent MHS & won 3 games. Once again, we have the MSCC Apparel Fundraiser. All the orders are due by February 11. Please note the new tie dye shirt (D) & yes, I accept Paypal. If you have any questions, don't hestitate to contact me at leahmike@ymail.com. Also, this will be the last time for this logo. In the fall, it'll be a new one. I'm open to ideas/suggestions as to what it should be. CLICK HERE TO SEE / PRINT THE ORDER FORM - Thanks! LAST CHANCE to order chess merchandise! Tonight Leah will have order forms for chess merchandise. This is the LAST CHANCE to order this year's styles. Get 'em now!! After a long holiday break, CHESS CLASS RESUMES tonight at the MHS cafeteria! Mr. Matt and Mr. Andy will be giving lessons, followed by LADDER GAMES. Parents, I will be available at the beginning of class to talk about chess tournaments coming up (see below) and to answer any questions you may have. In general, we have a LOT of work to do on playing SMART games and focusing on what the other player is doing. There is far too much focus on playing fast (there is NO prize for this), and thinking only about our own game. 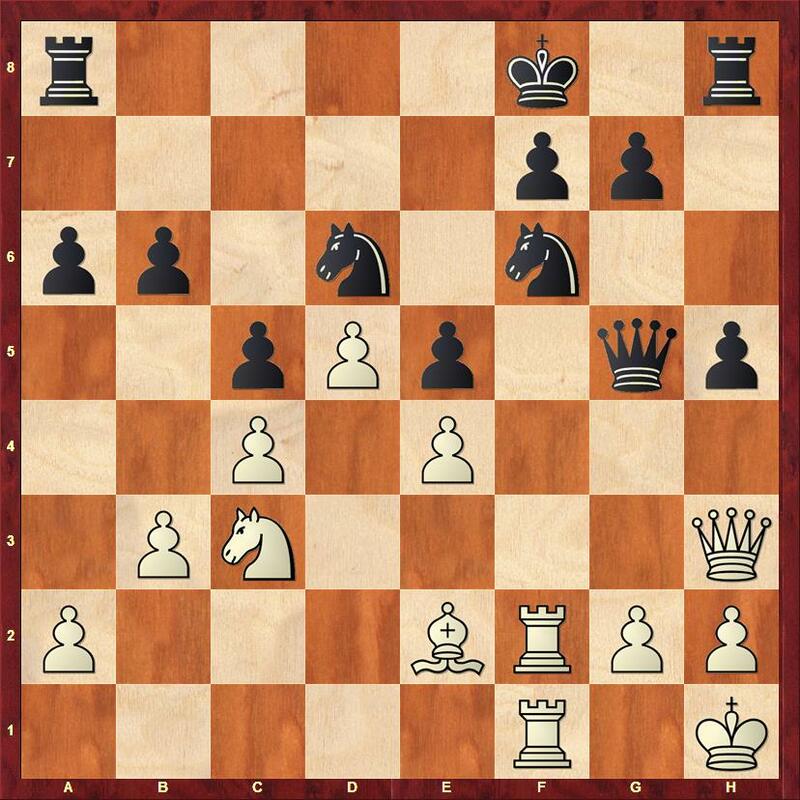 We also see FAR TOO FEW games being played on chess.com. Practice is the only way to improve. In-Class Tournament Starts Next Week! We have decided to have our own CLUB TOURNAMENT during class! We are starting this club tournament NEXT WEEK 1/21 and will continue for 6 weeks, playing one tournament match each week! The K-12 champion will be named Club Champion for 2015! There will also be a K-6 and K-3 club champion. This tournament is free to all members of the club, no rating required. More details to come. Goodrich Tournament this Saturday 1/17! This Saturday, there is a good scholastic tournament at Goodrich Elementary. This WSCF tournament is a great chance for young players to play an unrated event against a new set of players! To register, visit http://wisconsinscholasticchess.org OR REPLY TO THIS EMAIL with child name, school, grade and section (in tournament) and I will register him/her! Mark and others will be in attendance to help kids between rounds. Choice 1: For beginning players looking for a good local tournament, I recommend IAC's tournament at Brookfield Academy. You can register for this tournament by visiting http://ia-chess.com/registration/tournamentinfo.html?id=33 OR BY REPLYING TO THIS EMAIL with child name, school grade and section in tournament, and I will register him/her. Choice 2: For advanced players (700 and above, USCF rated), I recommend the Northeastern Open in Neenah. This is a two-day slow-play tournament held at the Holiday Inn in Neenah. I will be at this tournament with a few of our top boards. This is an INDIVIDUAL (not team) tournament challenge with many masters from WI and IL in attendance. There is an OPEN and RESERVE (under 1500 division. click here for details on how to register, or reply to this email if you like. Flyer Attached to this email. This is a true state championship, for individuals and teams. We have been competing in "G30" (action) type games for many years, and this is the chance to flex our muscles a bit in these quicker games. 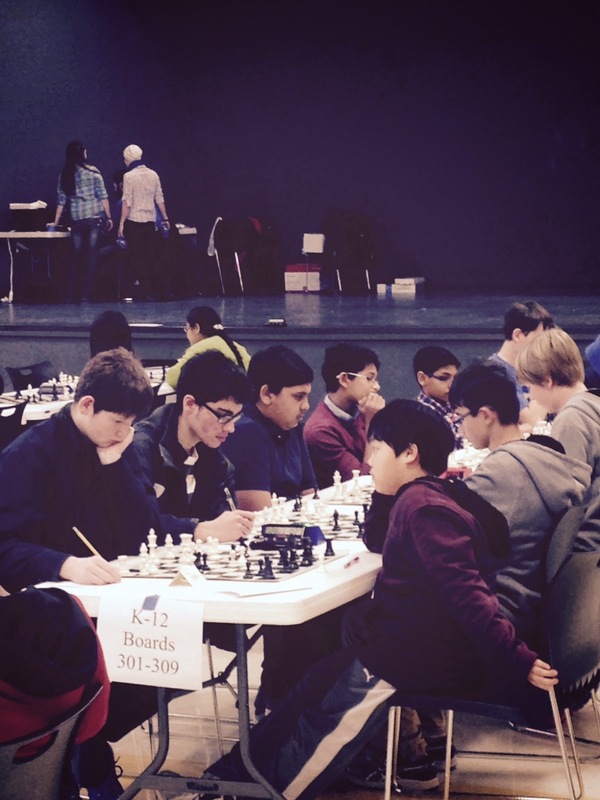 Four divisions - Open, U1400, K-12 Scholastic (USCF rated) and K-5 non rated. This tournament is in Madison at Shorewood Hills Elementary School. See flyer attached. Please RSVP for this tournament by replying to this email. All questions about the tournament should be directed to abetaneli@hotmail.com or by calling608-334-2574. 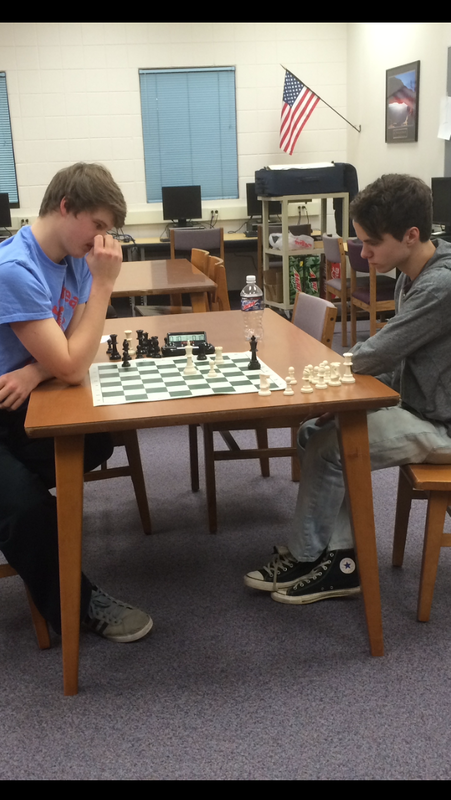 The Muskego High School Chess Team kept its unbeaten streak rolling in both Varsity and Jayvee in the most recent match 1/13 visiting Arrowhead High School in Hartland. Not only are we unbeaten in matches, we have not lost a single game out of the 25 games played. In Varsity, MHS won 35-5, with Fernando, Jason, Reid and Rachel all winning, and Evan earning a draw against a very tough Chris Zheng on board 1. In JV, we again brought only 3 players and therefore had to forfeit 2 games and had to win ALL THREE boards to win Jayvee. This was the case last week at St. Mary's, where Kolt, Elliot and Jack all had to win and did. This week with three different players- Will, Sam and Brian - we did it again, winning all three boards and earning the JV victory! MHS is now 3-0 in Varsity and 3-0 in JV, with a record in games we have played of 24-0-1. After a BYE next week on 1/20, Muskego enters a critical stretch of HOME games against Brookfield Academy, New Berlin Eisenhower and New Berlin West. These three games will most likely decide the conference - especially the first two. Another off week then, followed by a finish at Kewaskum. Peter (MV) did a nice job alone in the K5 unrated division, just barely missing a medal! And LDMS sent a nice team with Kyle, Aaron, Matthew, Brian and Will and they took first place team for K12, powered by the play of Kyle who had a strong day and finished in 3rd place! Thanks everyone for making this a fun day! Good job to all teams that played today. Nelson was the only player for the Mill Valley K3 section & hung in there. Mill Valley K6 team which consisted of Gavin & Ethan, came in 3rd place. Gavin personally placed 7th. 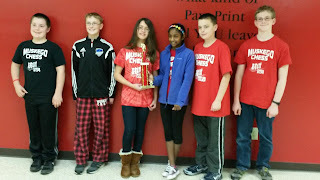 Bay Lane K6 (Noah, David, Adam & Alyssa) earned 1st place. David also personally placed 10th. Dan will add results aboutt the Lake Denoon K-12 team. Tonight, Muskego sent 8 boards to St. Mary's of Fond du Lac. The Varsity team of Evan Seghers, Fernando Collahuazo, Jason Markowski, Reid Seghers and Rachel Gomoll won 40-0, sweeping all 5 boards. For JV, we only had 3 who could attend, so we forfeited 2 games and had to win all 3 of the boards we had there. The JV team of Kolt Otterbacher, Jack Bognar and Elliot Bognar pulled off the sweep to edge St. Mary's 15-10. Our Varsity is now 2-0 (10-0 in games) and our JV is now 2-0 also (7-0 in games played). Lots of Tournaments Coming Up! If you have trouble with the sign-up page, let me know (child, school, grade and section) and I can sign you up. NOTE: if this one doesn't work for you, we will be attending the GOODRICH tournament on Jan 17. Register for Goodrich by clicking here. On Jan 24-25 in Neenah there is a USCF tournament called the Northeastern Open - information click here - we will have at least one team there for this (K-12). 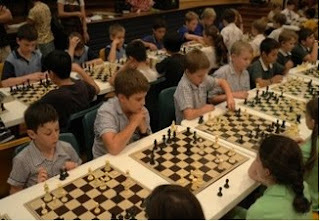 There is also an easier local tournament at Brookfield Academy- go to ia-chess.com to register. On Jan 31 in Madison there is a great tournament also - a true state championship opportunity! We will have at least one team for this (k-12 for MHS). More info to come. Alert me to Blog Updates! Add this Calendar to your mobile/desktop device! 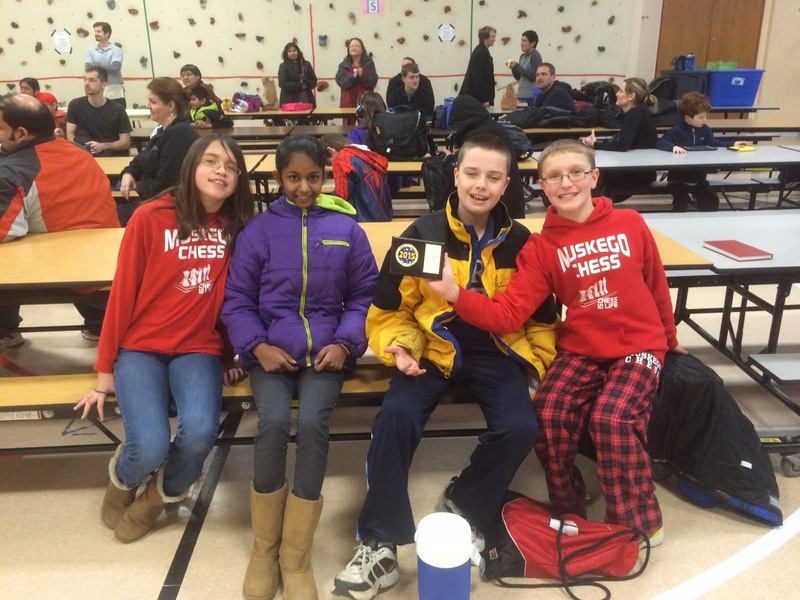 The Muskego Scholastic Chess Club is a volunteer-run organization, offered for a minimal fee to kids K-12 attending the Muskego-Norway school district and interested in being active in chess. Advanced instruction is provided by the IAC, whose involvement is funded by the MSCC. 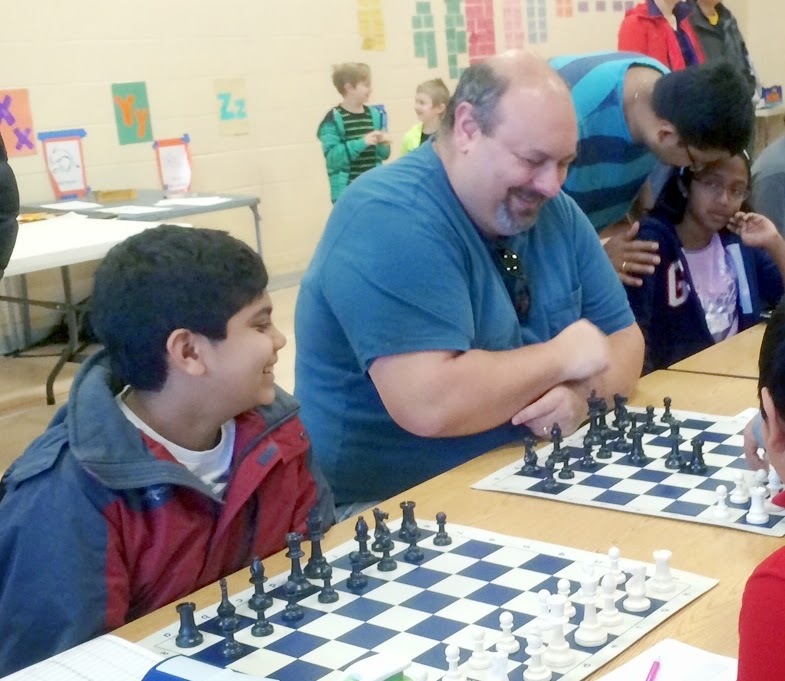 The MSCC meets October thru March, Wednesday evenings from 6:30-8:00pm at Mill Valley Elementary School - see the schedule on this blog for details including tournaments. K-12 scholastic tournaments start in November, and the MHS Team plays against other high schools weekly starting in December each year. Email Leah Przedwiecki, Club Secretary, at LeahMike@ymail.com if you have questions.